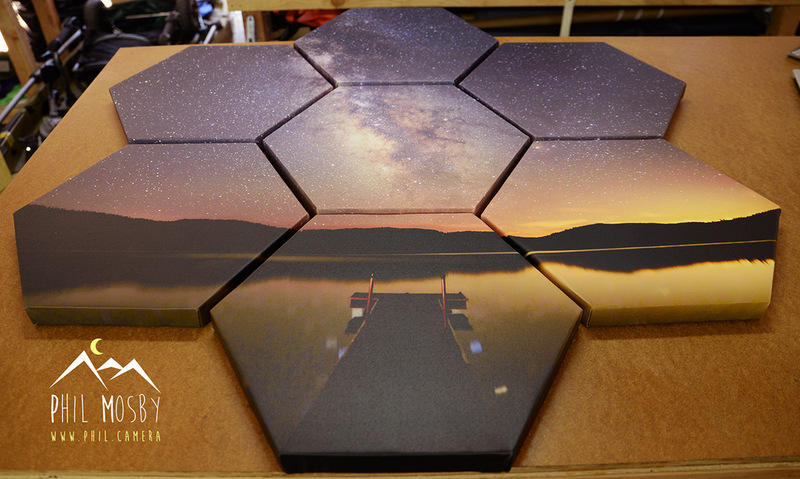 I print all of my own canvas and fine-art photo prints in my shop in North Lake Tahoe. I also cut my own stretcher bars, make the Best Magnets Ever, turn astro-landscape photos into glowing canvases, make my photos into detailed star charts, and do my own framing. Everything is made in-house, so I am constantly experimenting with unique shapes, combinations of materials, and printing techniques. Prints are available via the Portfolio page, or by custom order. Contact phil@phil.camera if you have any questions. My photos are available on both archival-quality canvas (no artificial brighteners, UV-coated for longevity) or printed on fine-art photo paper. 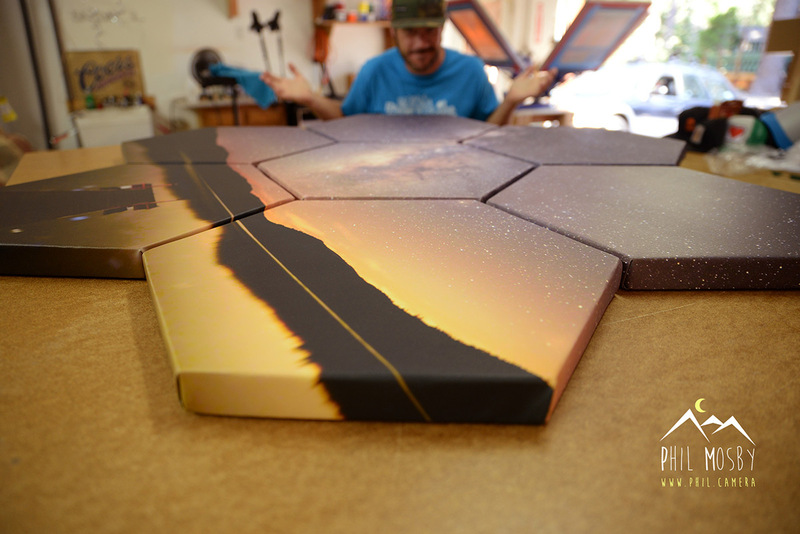 Canvas prints are hand stretched onto 1.5" Gallery Style Stretcher Bars. Photo prints are available either matted or rolled. All pieces are created and signed by me, Phil Mosby. Many sizes and types of prints are available via my Portfolio, or you can send me an email if you'd like to inquire about a custom print. I love doing custom installations. 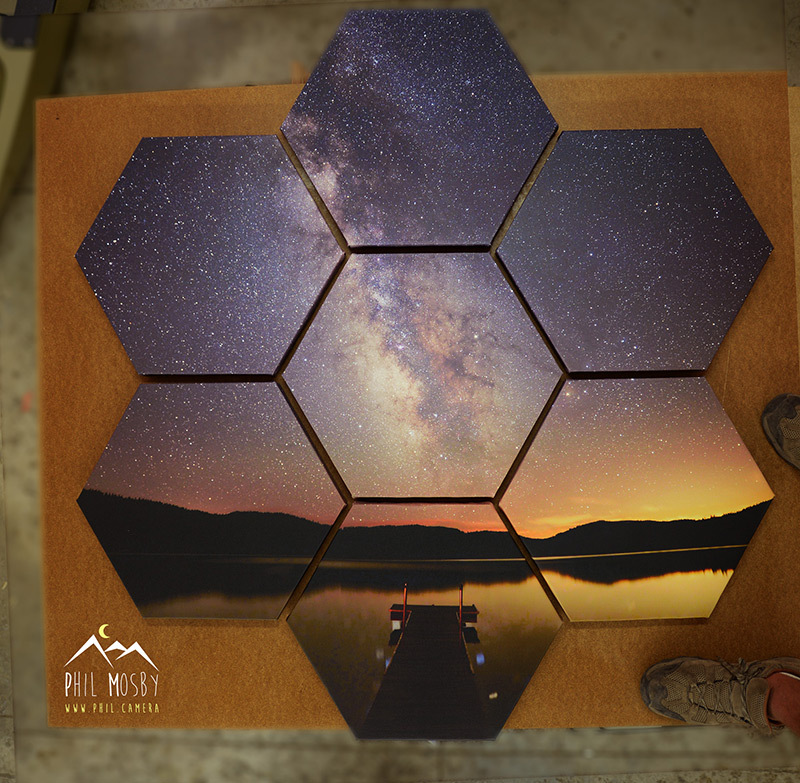 From triptychs, to hexagonal pieces, to large panoramas, if you have a creative vision for one of your walls, please let me know by sending an email to: phil@phil.camera and I will help make it a reality.